Smoking brand thin rolling paper – for a smooth smoke! It does not take a lot of imagination, even for a non- smoker to understand that when a person relaxes with a personally rolled cigarette, they want to flavours of the tobacco, or herbal mixture to be at the forefront and not the paper that is used to prepare the cigarette. Connoisseurs practiced in the art of rolling a cigarette have their own personal preferences concerning the papers which they use; Smoking Papers have long been a favourite with many because of their quality and consistent quality. Recently released are what are described as the thinnest and they are in fact 20% thinner than their previous thinnest papers. These are without doubt potentially the thinnest on the market. Weighing in at only 10g/m2, combining maximum transparency with optimum strength, they are super ultra-thin rolling papers and are available in various sizes and formats. We know that Rolling Paper on a roll has always been popular, but no rolling paper brand has managed to do an ultra-thin paper, that is until Smoking came along and introduced this latest 4 metres in one pack of this super ultra-thin paper! The roll of paper has been watermarked with Smoking’s logo; the paper burns very evenly and slow, and uses only 100% natural vegetable gum ensuring when you lick the king size slim each paper sticks first time, every time. As they say: it’s so thin it could almost fly and the Smoking product is FSCA certified, with no colouring or other additives. So if you just want to smoke less paper and who wouldn’t, then have a look at Smoking thinnest rolling papers, a “steal” at just £1.50! Wiz Khalifa, is an American rapper, songwriter, and actor, not only is he very good at making records, one of his album hits was Rolling Papers, released in March 2011, so it is no surprise that he has endorsed with his name these awesome pre-rolled cones by RAW, in their very own presentation tin. 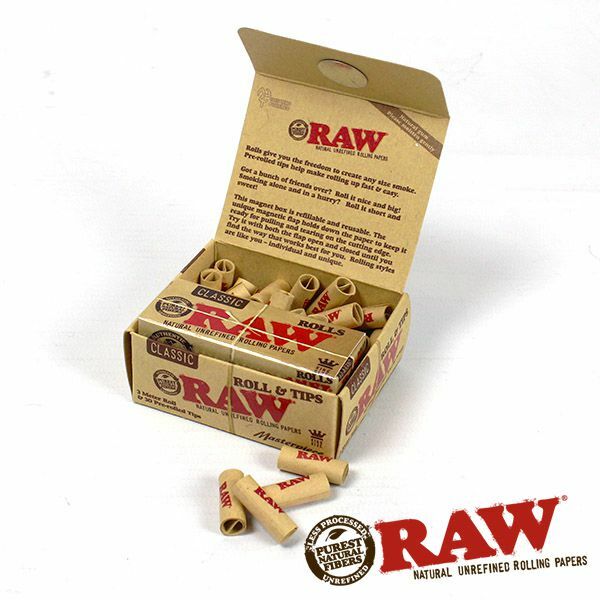 We all know that Raw papers are unbleached and the pre-rolled cones are made by them, that will be sure of getting quality that smokes smoothly and cleanly, after you have filled your Raw papers with your tobacco. The Wiz Khalifa Cone Tin has six cones supplied; the lid has the words ‘Wiz Khalifa’ which has been slightly raised up and is ideal pocket size at 120mm (w) x 15mm (h) x 81mm (d). Naturally the conical cones are made from Raw’s natural un-refined, unbleached rolling paper as well as being watermarked; this ensures the cone burns down evenly. Storing your cones in the tin ensures that they can be carried in jeans or bag without becoming damaged. The tin can be used over and over for your new Raw cones, just £3.99 for protection of top class pre-rolled cones. 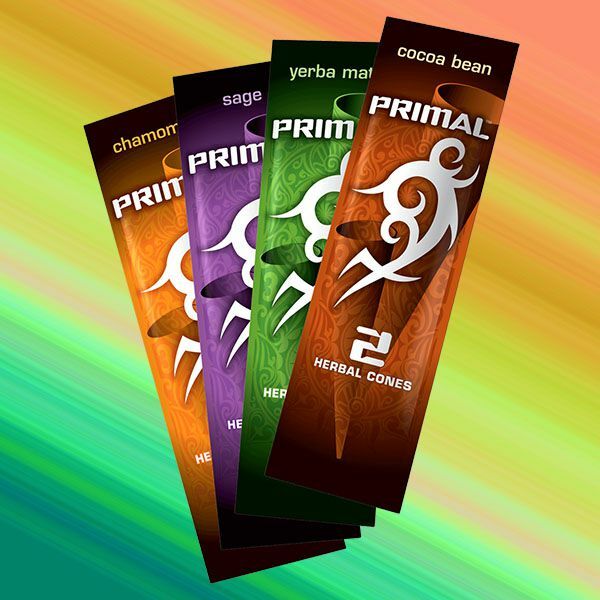 When we roll our favourite tobacco or herbal mixture into a cigarette, we o no want the flavour to be affected in any way, this can happen with some papers, which is why the latest Brown Unbleached King Size Slim Rolling Papers are becoming more and more popular fairly new addition to the Smoking Range Family. The papers are unbleached, chlorine-free and carry no taste; the gum itself is 100% natural vegetable gum and does not contain any additives whatsoever. Within the pack of papers is a small paper slip which is there to remind you when you are getting toward the end, ensuring that you can re-order before running out. With the 33 Brown King Size papers, sometimes referred to as long or large rolling paper by many of us, is included 33 tips, and these are perforated to help you roll the perfect filter and like the papers themselves, are unbleached and chlorine free. This Spanish company is no stranger to making perfect rolling papers, having been involved in the manufacture of cigarette paper since 1879 and therefore knows just what a connoisseur of smoking roll ups is looking for. The cigarette paper of Smoking is made by the manufacturer Miguel Y Costas & Miguel SA, from Barcelona, Spain and so with a packet of their Brown King Size Papers, your favourite tobacco and a rolling machine, the perfect smoke is yours. Jimi Hendrix the legendary rock guitarist died at the early age of 27 years in a London Hotel after appearing at the Isle of Wight Festival in August, a few days before. Jimi had a chequered life and had more than a few brushes with the law, some of which involved his love of a cannabis smoke. Jimi not only left a collection of music for his may fans to remember him with, but also a number of products that reflected his need to relax with a cool smoke. Amongst the many that we offer, are a Jimi Hendrix song collection of Kingsize papers, that have been made with four distinct designs showing the man himself. The papers have a roach which of course allows the tobacco or your favourite herbal mixture to be smoked down and prevent waste and because the roach is included you always have one handy and ready to go. The pack is also very useful to rest your paper whilst rolling, this will help to prevent unnecessary waste. So whether you are a fan of Jimi’s musical talents, or you just like the colourful and artistic psychedelic patterns and images of Jimi, your day will surely be very much brighter. Looking for something different, well we have something that is really quite cool, the Millennium RS Rolls, with this paper you can have the ability to pull and neatly tear off as much paper as you need for whatever length cigarette you wish to roll, which brings us to the question, when did you last roll a 10 incher? Now we all know that there are lots of rolling papers, there are hemp, flax, rice, cellulose, palm leaf, and even papers made out of tobacco leaves, but we think that the Millennium RS Roll is just that bit different from the others. Supplied in three sizes, slim, medium or large, these lightweight papers are just designed for the discerning smoker who likes to roll his own. . Simply tear off the paper at your desired length and see how easy it is to make the perfect super-sized cigarette! Another feature of this Italian product is that they are very light in weight; this means that you are smoking the product and not so much of the paper, surely this has to be a plus point. On sale at just 89 pence or we have an offer, buy 24 for only £12.00, this works out at only 50 pence each, yet another plus point for the Millennium RS Roll for Shiva! Rolling your own cigarettes is more popular in the UK than most other places in the world, around 30% of smokers here do rollies compared to only just of 6% in the United States for example. There is a good reason for this ask anyone who rolls their own and they will tell you that they can manufacture the cigarette exactly as they want it, using tobacco of their choice or increasingly one of the many herbal mixtures. So what do you need to make the perfect cigarette of your choice? Well of course you will need the tobacco or herbal mixture and of course you may want to use a rolling machine, but many prefer to do this by hand which needs a little practice at first. All of this is no use without the important paper and we have a huge selection of papers from which you can choose, but Juicy Jay paper rolls have become top sellers, not surprising when you see the selection that we offer. These come in ten mouth-watering flavours, so tasty in fact that you might be tempted to eat them and not use them for rolling up! The flavours impart a very smooth but light taste to your cigarette; the colour of the paper is also attractive. You will have plenty of paper as well as each of the rolls is approximately 5 metres long, plenty of cigarettes there. The gum that is used is natural and the ink is soya based so no problems there. You can choose from ten delightful flavours, these include Banana, Blackberry Brandy, Blueberry, Bubble-gum, Green Apple, Peaches & Cream, Raspberry, Very Cherry, Watermelon, and Cotton Candy. Why not treat yourself to our 12 inch rolling machine for that perfectly rolled cigarette?